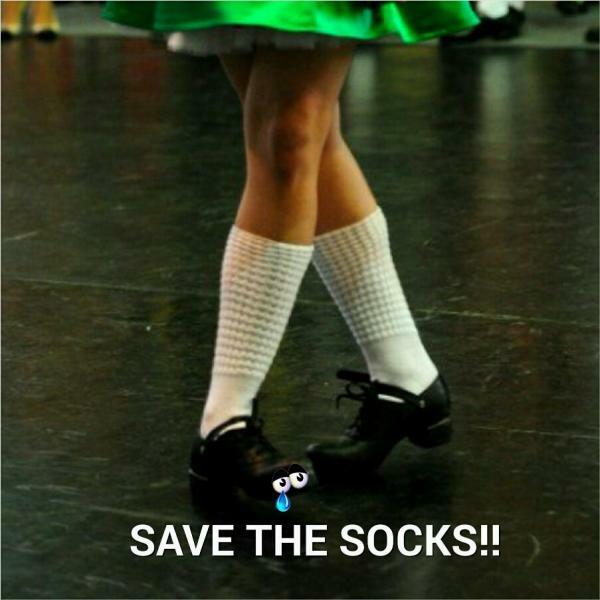 dance.net - Petition "Free choice of legwear for all Irish dancers" (10223613) - Read article: Ballet, Jazz, Modern, Hip Hop, Tap, Irish, Disco, Twirling, Cheer: Photos, Chat, Games, Jobs, Events! Petition "Free choice of legwear for all Irish dancers"
Due to the recent new rule of CLRG which says that all dancers O18 will have to wear black tights from now on (except for Championships)there has been a Petition started to hopefully make CLRG Change their minds about this rule. I personally really dislike this rule, I think it is in fact discrimination and it makes no sense. If you would like to help us, please sign this Petition. It only takes a Minute and hopefully it helps to changes something. Please sharte this Petition with your friends (dancing and non-dancing), they might help as well! 16 Replies to Petition "Free choice of legwear for all Irish dancers"
re: Petition "Free choice of legwear for all Irish dancers"
Didn't CLRG already try to do this? Sorry, back it up or it's just rumors. I've heard rumblings about this for a few weeks now on tumblr (not the most reliable source) and unless I see a rule on CLRG's website (which I haven't been able to find on there) or hear something from a TC, I'm believing nothing. I also heard it was not CLRG who tried this this time. They tried it a few years back and the backlash was such that I doubt they would try it again. So many age groups that are non championship are split way too low for them to enforce this rule. A 15&O grades comp is not enforceable. If no one does it, they can't enforce it. Black tights are even more unusual now than they were when they tried this rule the first time, so I don't think it's going to stay even if it's there. I first heard about it about a week ago from a Facebook friend who dances in Mainland Europe (yes, with CLRG). She said that a few feisianna in the region added the tights rule to the syllabus and that her TC said it was a new regional rule that was in discussion to go worldwide. Yeah, still rumors, but slightly more weight than random people. The rule IS already in effect on a very small scale, no clue if it will spread. She also posted a link to the feis syllabus, and it was listed in the rules. CLRG is a teachers' organization, not a dancers' organization. A petition might change things, but if you want things to really change, make sure you talk to your teachers and let them know how important this is to you--and ask them to attend their regional meetings to speak out and vote against these kinds of rules. What exactly is the rationale for such a rule? Do its proponents want to visually identify older dancers? Or maybe they don't want to see "old" legs? This was my question, too, why in the world would this rule be added? Just curious. There were two feiseanna that listed the black tights for adults requirement. One, the Munich Feis, was given by a CLRG school and featured CLRG adjudicators. However, it was open platform, allowing dancers from other organizations to compete. Since at least one non-CLRG organization has a rule about adults and tights, I wonder if this "CLRG" syllabus included the restriction to keep the playing field level for all of these dancers. How would an AD know if an adult wearing socks was in the CLRG (so the socks were allowed) or in another organization which bans socks? This may just be a special rule for a unique circumstance to facilitate judging. The second feis, Prague, also banned sock wearing adults. Unfortunately, I couldn't find a link to its syllabus. I don't know if it was "open platform," and was using the same rationale as Munich or if there was a different circumstance. If anyone can find the Prague Feis 2015 syllabus, I'd appreciate a link. I found this banner on the Prague Feis's FB page. I like its humor. ^^ Of all the "Save" signs I've seen, I never would have believed I'd see "Save The Socks!" I like the way the hard shoe is crying. I found the Prague feis syllabus. www.rinceoiri.cz . . . But I couldn't find anything about socks and tights. There is only this "30.
around the Feis scantily dressed." On their Facebook page, the Prague committee posted "Black tights are to be worn in all grades from beginners to Intermediate for adult competitions over 18. Ceili dancing for adults - black tights are to be worn. Open championships don't have to wear black tights". Since both these feiseanna were run open platform, they both may have wanted to accommodate the rules of other organizations and facilitate the ADs. The CLRG has yet to post any information on its website confirming this rule. As a consequence, I have to agree with Boleyngrrl, this is not a new CLRG rule but a special rule for these feiseanna. I would predict that any other European feiseanna which are run open platform may include the same restriction on leg wear. The best course of action would be the affected dancers having a chat with their TCs. If my hypothesis is correct that the reason for the rule is accommodation of other organizations, it seems strange the CLRG would subject its dancers to the more limiting rules at a CLRG sponsored feis. CLRG dancers should have the maximum latitude in choice of costume. Guest competitors at a CLRG feis would be free to observe--or not--their associations' rules. Your hypothesis is not correct. All feisanna in Mainland Europe have been open to non-CLRG organisations since 2012 (there is a CLRG rule somewhere). This tights rule has come into effect just recently. You can go and look at previous years' feis syllabi if you want, and there is no tights rule even though they were open to other organisations. Just to be 100% correct: the feis is not "open platform", because it is a CLRG feis run by a CLRG school with CLRG adjudicators. Rather, they say the feis has "open status". If you read the syllabus carefully, it states: "As a special concession An Coimisiún will give special accreditation to such persons for the duration of the feis", i.e. they will effectively come under CLRG for the feis. Thank you for that information. Then it appears your new tights rule is analogous to the costume rules for young dancers in the Midwest region of the US. Dancers under WQer age must wear simple costumes. Anyone of that age feising in the MWR is subject to the same restrictions, even though they may be from outside the region. These feiseanna are CLRG-organized but the rule isn't binding at this time on any other NA region or abroad. Come on dancers, we already reached 625 signatures. I know that CLRG won´t just say "oh they don´t like it, lets skip this rule" but we can really Show them how we feel about this! So please, sign it, share it where ever you are! Thank you!!! I have seen this rule beeing inforced yesterday at Munich feis, and guys, I really don´t like it. Some dancers just Looks odd with the tights on with a Dress that was definetly not meant to be worn with a tight. And many dancers looked really uncomfortable. Why not just let us choose???? Just curious, but how was it enforced? Were the adjudicators doing it once the dancers were lined up on stage, or were the feis organizers doing it prior to dancers going on stage? If they were found to be at fault, were they not allowed to dance, or were they allowed to dance but given some sort of penalty?